Finally, the long awaited Blogspot Blogger stats is finally here!!! No need to install Sitemeter or any other blog stats in your widgets to track your traffic. Blogger has now adopted the Traffic stats that was first released in July of this year. Real-time tracking. 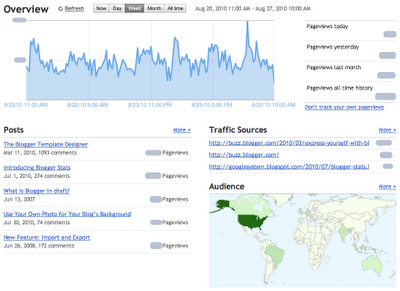 Each time your blog is viewed, you can immediately see the changes in stats. Unlike other stat widgets, it's being refreshed from time to time for the updates. Insight about your audience. The blogspot stat will let you know the top search keywords, the countries where your traffic is from, the browser used and many more. Great user interface. It's easy to read and easy to use. If you are familiar in using the Google Analytics, this is somewhat similar when it comes to tracking. You can see it now running in your blogger accounts. When you login, you will immediately see the tab on the right most corner option of your blog beside "monetize". Putting Adsense at the bottom of each post in blogspot is easy. It's not that complicated. It is very similar to our post of putting Adsense within the post. 1.Login to your Blogger account. What do I mean with “PARSED ADSENSE CODE”? Parsed Adsense code is your Adsense code that has been changed into xml code format. It has to be parsed to function in blogspot because blogspots are xml type of blogs and not php. To parse your code, simply copy the Adsense code, paste it to this parser tool, and click parse. Then copy again the new parsed code and that's the one that you are going to paste in your template as seen above. is being added so that your Adsense will only appear in every single post, but not in your index pages such category, searches, and main home page. Remember that you are only allowed to use 3 Adsense ads at a time. And if the Adsense will be seen in your index pages in every post, you will be violating then the terms and conditions of Adsense. Not to mention that it destroys the beauty of your blog. Ubuntu usually comes with pre-installed dictionary. However, the dictionary that comes is usually an online dictionary. We need to install offline dictionary so that the dictionary will still be usable even if you are offline. 3.Right click the “.exe” file of the WordWeb download. 6.After installation, you can check if it was successfully installed. Click Application> WINE> Programs> WordWeb. There you have it, you can now enjoy your offline dictionary in Ubuntu. This is the updated version of adding a comment form in blogspot blog. There are times that you are using a pre-made template in blogspot and you find out later that the comment form is not working well. Therefore, you might need to tweak your template a little bit. First things first, you need to try this before tweaking your blogger template using the HTML editor. The embedded comment form can not be used if you have Post Pages disabled. There are some premade templates that will not really work on this. In that case you need to tweak it in HTML editor. If it doesn't work, follow instructions below. Tweaking it should not be so much pain though. 2.Design Tab> Click Edit HTML. This will enable to quickly search for this line. Your visitor can now see the comment form below your post that functions. Being a blogger, you will have to face the reality that blogging is not an easy task. It takes time to format your post and most of the time, you will have to copy and paste anchor text links. And just imagine if you are making a post and you will have to make around 4-5 anchor text links from other websites. It will really become a pain in the long run. Today, I will introduce to you a new Firefox Add-on tool that will make this task a lot easier. All you have to do is to install the Add-on. Once installed, you simply go to the webpage where you want to link. Highlight the words that you want to use, right click and click “Copy as HTML link”, then finally paste it to your post. To check whether you have installed it correctly, simply open a notepad or any text editor you want, and paste what you just have copied. And you will see a coded text link. 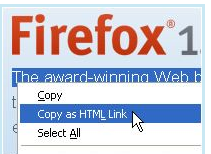 Creates an HTML link to the current page using the selected text and copies it (into the clipboard) for pasting into other applications. My wordpress blog is having a MySQL Database Error like "MySQL Gone Away" where I was compeled to look for some solution immediately. At first, I really thought that my blog was hacked especially that my other blog hosted in another hosting company was literally hacked where I end up canceling my account. But this blog of mine is more than a year old and is doing well now in Google page rankings. Losing it is definitely not an option for me. So I tried to search for solution. Hot topics on the net is not so difficult to find. In fact, by just visiting the home page of Yahoo, you will readily see there the hottest searches in Yahoo in a particular day. Hot topics can be a good source of a good choice of hot niche. 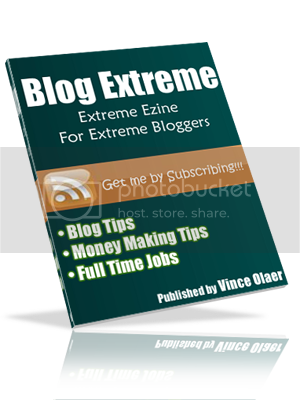 However, as a blogger, you are bound to find hot topics for your blog. Getting hot topics, with matching SEO of the post can definitely give you a good amount of traffic coming from that post. Just try to imagine that you have about 50 hot topic posts that ranks well over the search engine, that alone can boost your blog's popularity. Do you have a Smartbro Dongle and you are using Ubuntu? Many Ubuntu users find it hard to install Smartbro internet dongle. Today, not anymore. I listed here the detailed, easiest way to install it. Ok first, I want you to know my system and my current Ubuntu OS. I am using an Acer Aspire 4330 model of laptop, and in it, is Ubuntu 10.04 LTS, known as the Lucid Lynx. I am using the Smartbro HSDPA Dongle Modem MF627 made by ZTE corporation. If you have Ubuntu Lucid Lynx and have an HP Printer Deskjet D1660, and you found out that it is not printing, don't worry, below is a detailed instruction on how to make it work. And I do hope it will help. With this, it simply means that HP Deskjet D1600 series still runs in hpcups and not with the latest hp printer drivers for linux. 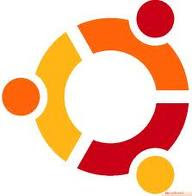 Please know that I am a proud user of Ubuntu. As I said, this blog will let you experience the power of FREE resources. I finally went back to Ubuntu. After my newly started blog was hacked, I finally decided to go back to Ubuntu Linux. I certainly understand that there is no such thing as "secured" in this world. There are many hackers out there that are just waiting for bad security password to appear for them to hack. There are several things that I have learned from my experience and I hope you will also try to implement these security measures for your blog sake.